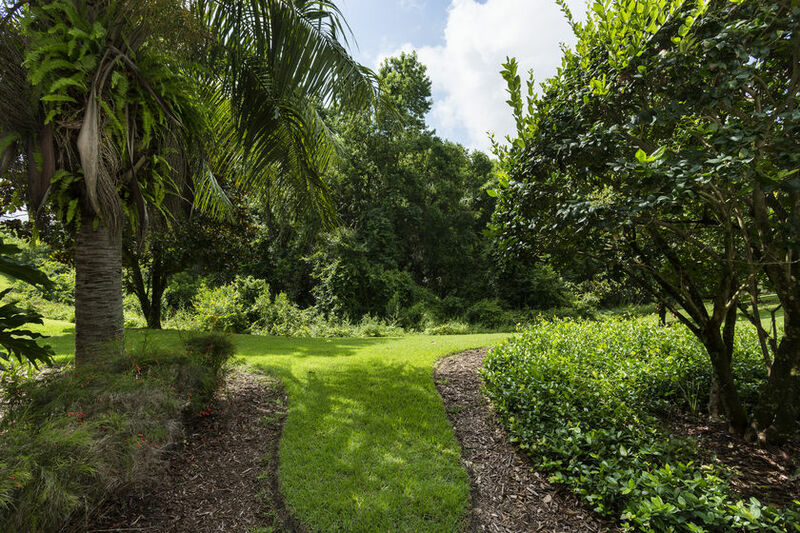 Located in Whisper Way of the upscale Villas South neighborhood in Reunion Resort. 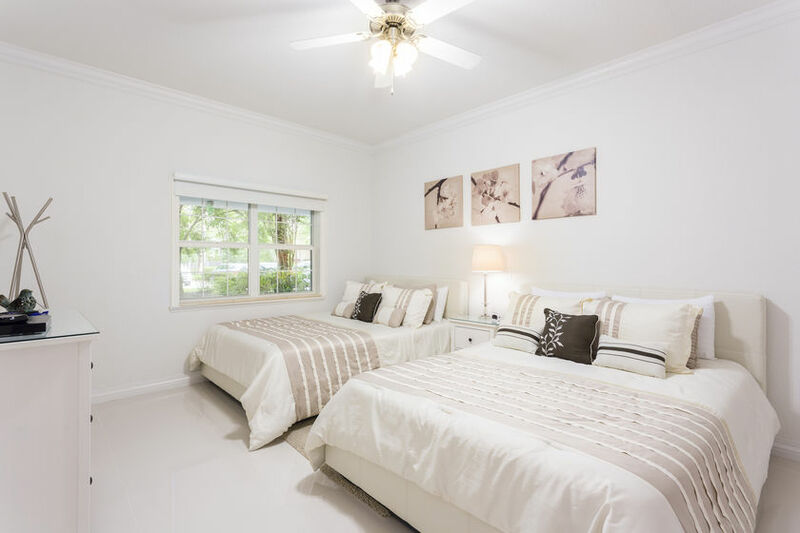 This 1,630 sq/ft 3 bedroom, 3 bath vacation condo is also only steps away from one of Reunion`s playgrounds. 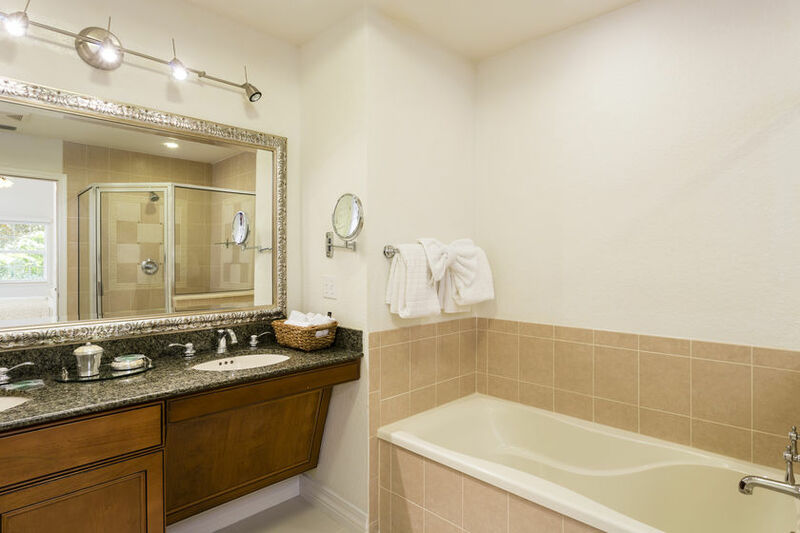 Tastefully decorated with every feature that you could want in your home away from home. The unit has been furnished to the highest of standards. 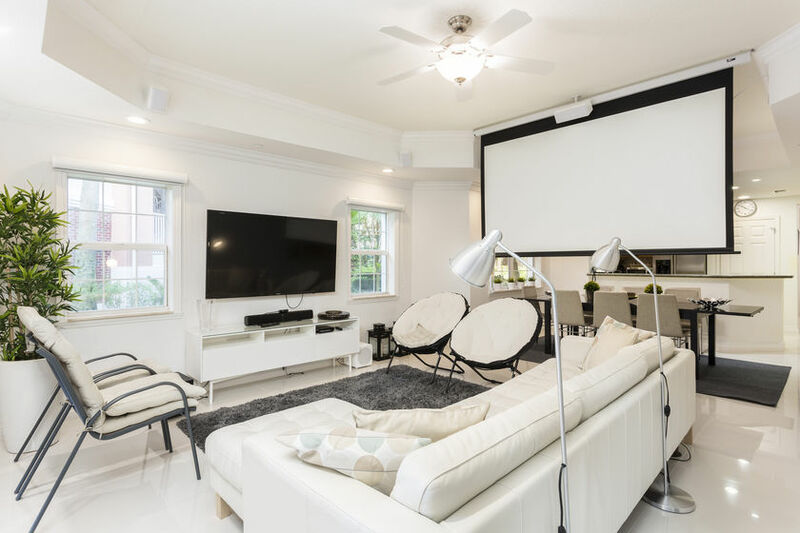 The villa is tiled throughout with the living area featuring a large 55" TV featuring Blu-Ray player with surround sound. Don't feel like going out to the cinemas? The unit also features a large 100" screen and projector with blackout shades to enhance your viewing experience. 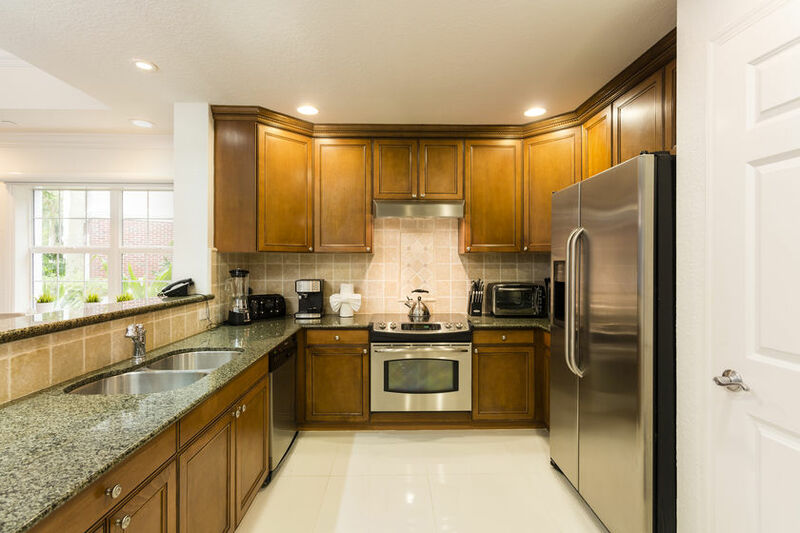 There is also a fully functional kitchen which is very well equipped with the highest end stainless steel appliances and granite counter tops. 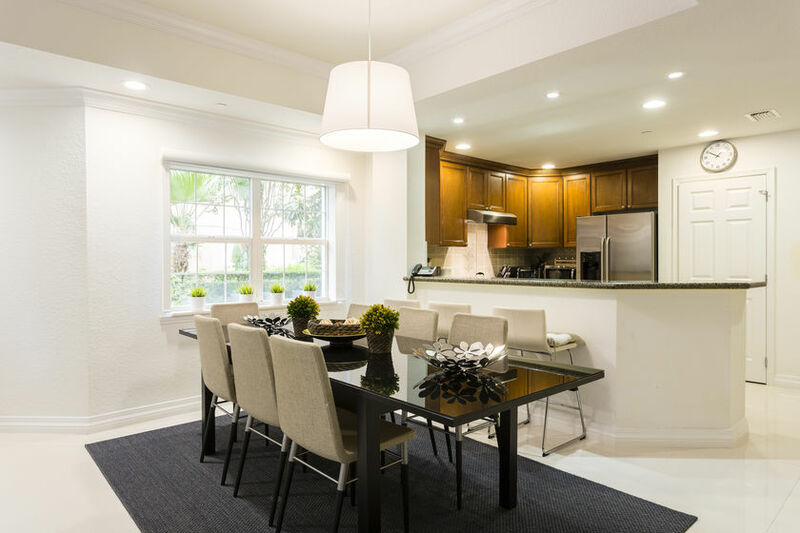 The separate dining area has a beautiful dining table with seating for 7. Guests staying in this condo will enjoy luxury and comfort as no expense has been spared. 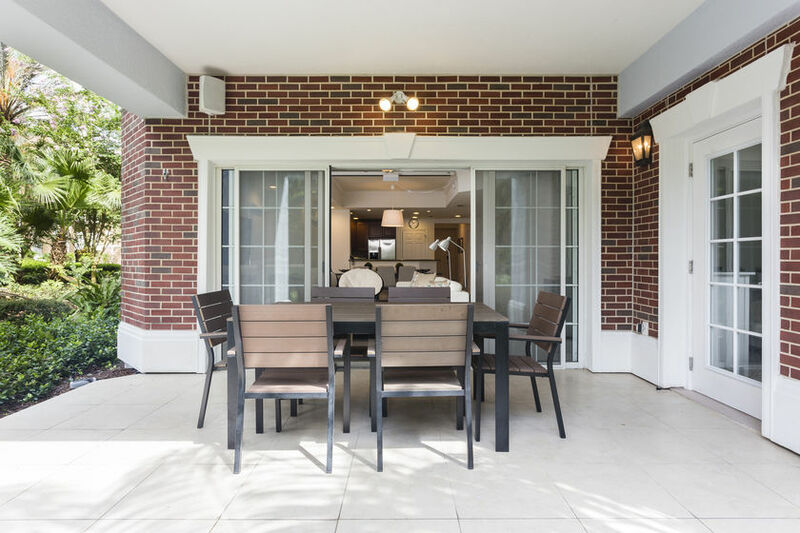 Large sliding patio doors lead out to your own south facing large private terrace where you can enjoy breakfast in the morning and drinks in the evening all whilst relaxing and taking in the views of the Preserve. The master en-suite bedroom has a luxury King bed, a 50" smart LED TV, with private access to the balcony. 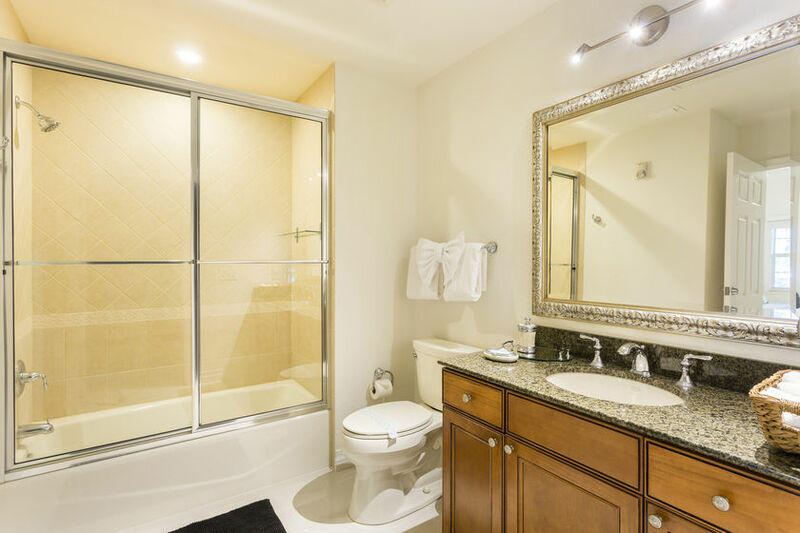 There is a large walk in closet, an electronic safe, and a large en-suite bathroom with dual sinks, bath tub and a large walk in separate shower. A mini beverage fridge has been added for your convenience. The second bedroom is furnished in serene, and contemporary decor with two luxury full size beds, and 42" smart LED TV. There is a large closet and an en-suite bathroom. 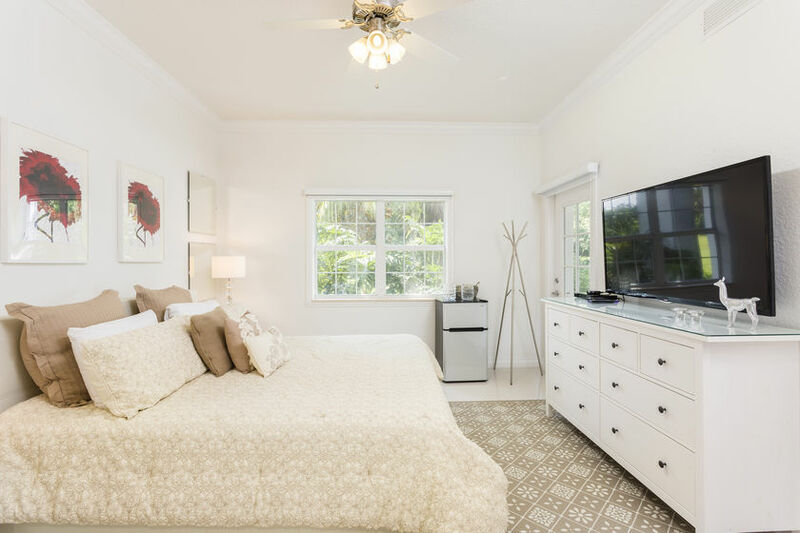 The third bedroom has two luxury full beds, and a large 42" smart LED TV flat-screen TV. There is a large closet and an en-suite bathroom.